Actress Angel Locsin expressed her happiness for her friend Chito Miranda in the new phase of his life after entering fatherhood. The actress even shared her baby photos to Miranda. 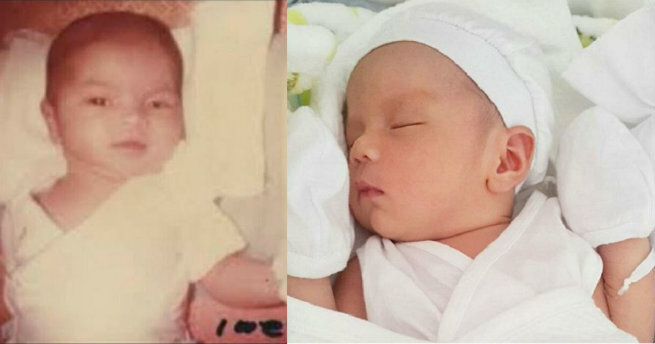 In an Instagram post, Miranda revealed the text message exchange between him and Locsin wherein the actress congratulated him and said that she and Miranda’s baby, Miguel Alfonso, look-alike. “Yung tuwang-tuwa yung ninang kasi feeling nya sya daw ang kahawig ng anak ko. Solid ka talaga @therealangellocsin,” Miranda captioned.